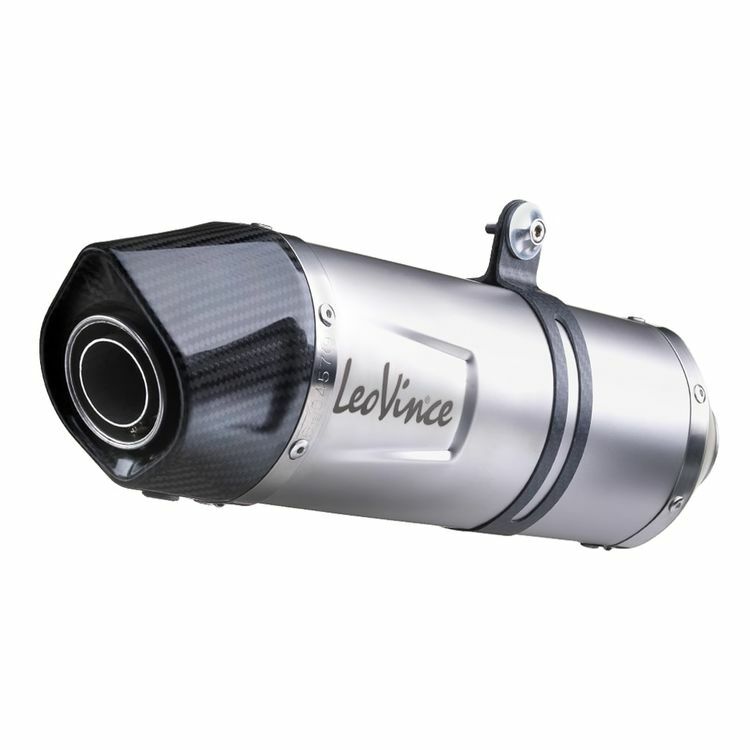 The Leo Vince LV-One EVO Exhaust System is the ideal combination of aggressive sound, power and style for the most demanding riders. The stainless steel inlet is attached to the muffler body with TIG welding. The end cap, a real novelty of this exhaust, is made entirely of carbon fiber and has an asymmetric and aggressive cut. The muffler clamp is also made entirely of carbon, combining to create a perfect balance of aesthetic excellence.